Back in February, Thomas announced a plan for documentation for MuseScore 2 that included a new book I was writing. 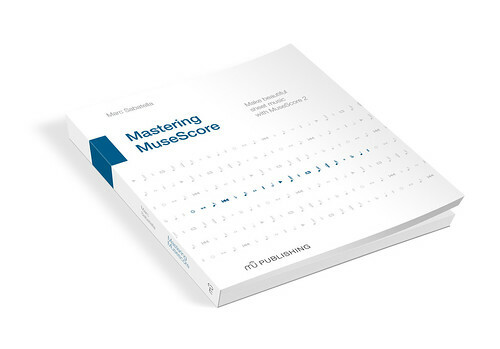 As you may have seen if you subscribe to the MuseScore newsletter , this book, entitled Mastering MuseScore , is now available for sale ! Please excuse the commercial annnouncement, but I hope you will be as excited about this as I am. A month after the release of MuseScore 2.0, we are pleased to announce the availability of MuseScore 2.0.1 which comes with 100+ bug fixes. When we released 2.0, it had been more than two years since the release of 1.3. This was deliberate, as we knew 2.0 was a major undertaking and we wanted to get it right, but we also knew we wanted to have more frequent releases going forward. From our first MuseScore users survey back in 2013, we learnt that the number one request was more and better documentation. In the meantime, as we were packing great new features into MuseScore 2.0, the need for good documentation would become even more necessary. So with the 2.0 release nearing, let's check what the state is of the documentation and what we can still do in the weeks to come. With all the blocking issues being addressed and the plethora of other bugs fixed since beta 2, we have now set a release date for MuseScore 2.0! We are calling up everyone to help us translate the coming release of MuseScore 2.0 in your own language. Currently 2.0 is being translated in 53 languages but if your language is missing, please leave a comment so we can add it. Step 1: Use MuseScore 2.0 RC. MuseScore 2.0 Beta 2 Released! Just in time for Christmas, we are happy to present to you MuseScore 2.0 Beta 2. This beta release includes hundreds of bug fixes and other improvements made as a result of feedback from users of the Beta 1 release and subsequently nightly builds. There are even a few new features that have been added during these last few months. See below for more information on what’s changed. To wrap up this GSoC season, Google traditionally invites 2 mentors per project for a Google Summer of Code Summit in Mountain View. This year, it was the 10th anniversary so it was special. Google invited mentors and students, even organising a lottery to get more people in. The event was not taking place at the Google Headquarters in Mountain View but at the Marriott San José, spanning over 3 days. The reunion schedule was packed. MuseScore 2.0 Beta 1 Released!